I'm fond of saying that since we New Yorkers don't have cars, we need to carry nice handbags. After all, where else are we going to stash all our stuff? In winter, of course, this statement expands to include coats. 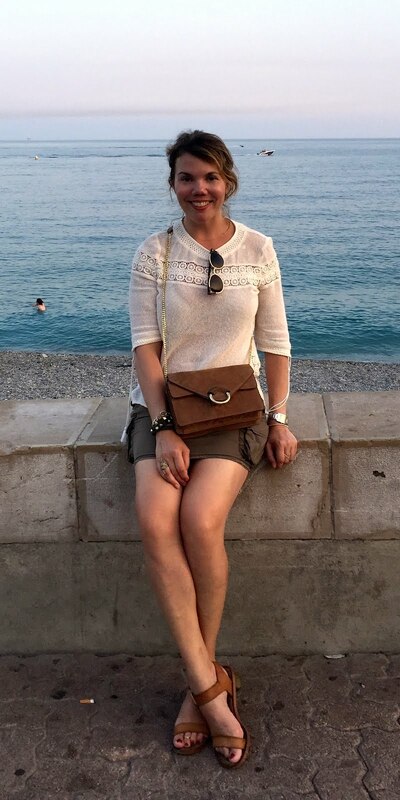 I love handbags, but I especially love coats, because when you're out and about for the next five or so months, it's often the first thing people notice about you. In other words, in winter, coats are the ultimate expression of your personal style. (No pressure, right?) Like handbags, however, a good coat can be pretty pricey (if you don't believe me, take a look at, say, Searle's website, where even down jackets run into four figures)--especially if you're like me and you like to buy a new coat every year, which can become a pretty expensive habit. So that's why I like to buy vintage coats--unless they're big-name designer vintage, they tend to cost way less than a new coat, and of all vintage items, coats tend to remain in pretty good condition (probably due to people like me who buy a coat and wear it for only one season). Vintage coats also have that "they don't make 'em like they used to" level of craftsmanship and luxury. But instead of hitting any random vintage store, I suggest Scivago, a website devoted soley to vintage coats from the 1940s to the 1980s. The site has a small but focused collection (just three pages) of coats--everything from no-name trenchcoats to luxe furs. Unlike a lot of vintage sites, the photography is well-presented, and the thumbnail pages include all measurements and a short little description, saving you click-through time. If you're into the mod look (a favorite outerwear look for me), you can totally hit the jackpot here. And I personally believe that wearing fur is a personal choice, but if you're one of those people who makes an exception for vintage fur, there are lots of options. Despite the styling, this double-breasted coat is both mod and pretty classic. It has a cool chain detail in the back, however, that gives it a unique look. This awesome coat is faux persian lamb, a.k.a. astrakhan. Vintage faux furs are a million times nicer than new ones (you'd think it would be the opposite, what with new fabric technology and all); I have a faux astrakhan jacket that I get so many compliments on--and people refuse to believe it's fake. 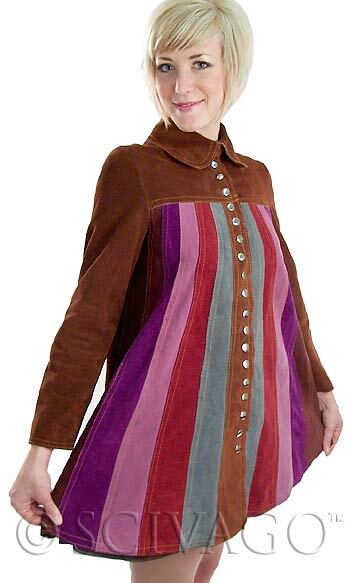 Of course, if you want a totally unique look, you can go for something like this rainbow-striped suede swing coat. I could see Drew Barrymore wearing this. Okay, so, I own a few fur coats, all of them vintage. I wear them so rarely, however, because I worry that people are going to throw eggs and paint at me and tell me what a horrible person I am (totally ironic, of course, because I'm vegan, well, and I'm not a horrible person, I swear). 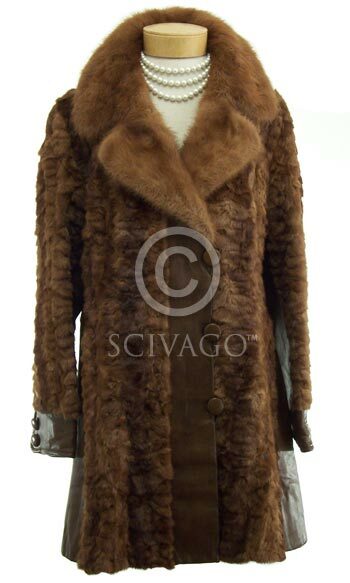 So, anyway, if I had any balls, I'd buy this sheared mink and leather-inset coat and wear it everyday. It has to be so warm, but unlike so many fur coats, it has a streamlined look so you won't look like one big ball o' fur. Like buying a coat on eBay (but without the anxious bid-watching), you can pay via Paypal, and your coat will arrive within a few days, via Priority Mail. And with this freezing weather we've been having, that's just soon enough. I came across this great store in Chicago called, Lili Boutique. I have become close with the people that work there because I find myself going back to this shop once a week! Lili has everything you can never find anywhere else. The girls are so helpful and honest about what looks good and what doesn't. The whole point to this is that she has everything online now, www.shoplili.com. I want everyone to know about this online treasure. Right now she has a tone of great Mint pieces, the white goddess dress is one I have been keeping my eye on. I know if I don't buy it this week it will be gone! She just received a new shipment of Mackage jackets as well. The money we spend there is justfiable because we are supporting smaller designers and cool shops like Lili Boutique, www.shoplili.com.